John and Aimee Good, with their children Celia and Lyle Good, have finally created their home farm, The Good Farm, on 18 acres of land in beautiful northwestern Lehigh County, near the base of the Blue Mountain. John and Aimee Good owned and operated Quiet Creek Farm at The Rodale Institute from 2006-2016. Prior to that, the couple spent 4 years managing Charlestown Cooperative Farm in Phoenixville. John and Aimee are active in the farming community. With 15 years experience in sustainable agriculture, John and Aimee are happy to share their knowledge with others, speaking at many farming conferences and offering on-farm workshops as well. John and Aimee have trained several farm apprentices who have gone on to start sustainable farms of their own. John Good is currently serving on the board of directors of PASA, the Pennsylvania Association for Sustainable Agriculture. 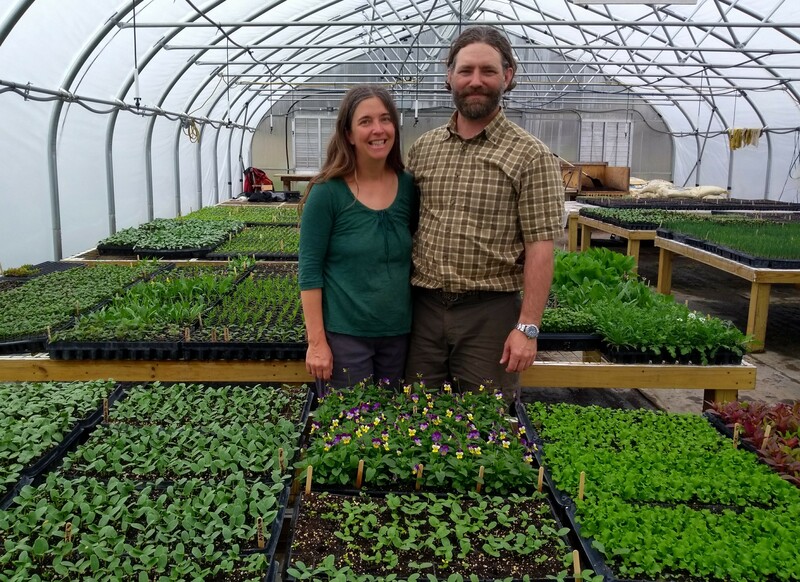 John and Aimee are both originally from Emmaus and are happy to be offering the highest quality certified organic produce in their home county, the place they love best. Musician Dave Mathews, Aimee, and John speak at FarmAid 2006.